Daily Illuminator: Ogre Playmat M1 Preorders Close Tomorrow! June 26, 2018: Ogre Playmat M1 Preorders Close Tomorrow! That was fast. 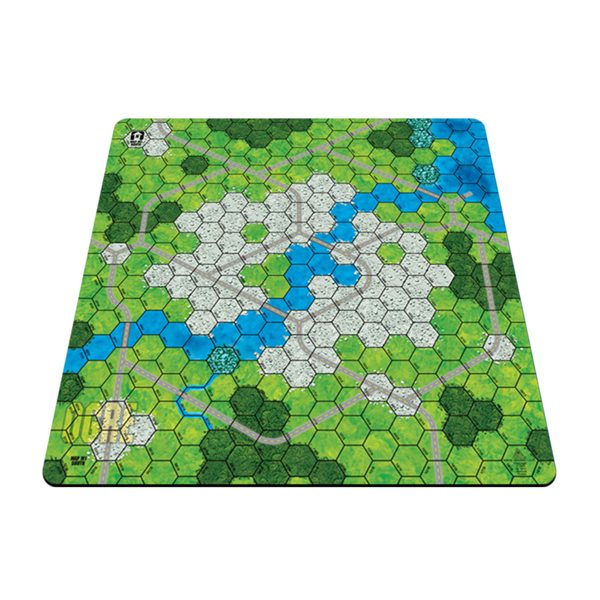 Last week, we posted the Ogre Playmat M1 – a 24" x 24" fabric playmat with rubber backing – to Warehouse 23 for preorder. This was a bit of an experiment to see how much interest there may be in new Ogre maps as large playmats . . . and now we have our answer: Instant, rabid demand! We planned to hold off on sending the file to print until we secured 100 preorders, but that happened so fast that we've decided to give all of you one last chance to get your orders in. We plan to run very, very few over what is required to fulfill preorders, so this really is your last chance if you absolutely have to get your hands on this new playmat. Thanks, everyone, for your preorders. There's a second playmat already designed and ready to go; we'll deliver the first playmat and then decide if/when we offer the second one for preorders.